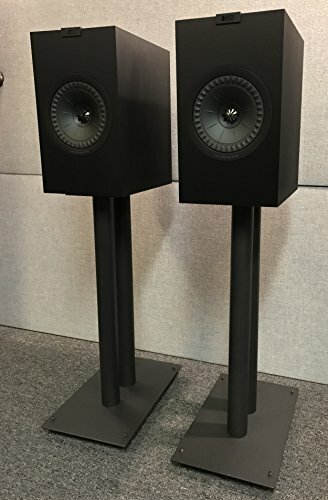 These all steel fill-able speaker stands by Vega A/V are perfect for all models of KEF Bookshelf Speakers. They Will provide the base needed to help your speakers produce the low frequencies that add so much to our music and movies. These Stands are fill-able with Sand or Metal Shot for optimum sound deadening. They Stand 24" Tall, the speaker pedestal is 9" by 5.75 inches and the base of the stand is 10" by 15.5" inches and made from 4mm steel. Vega Stands are Only Sold by Affordable Home Theater on Amazon Prime, any others clamming to carrying Vega Stands or Mounts are indeed being misleading.